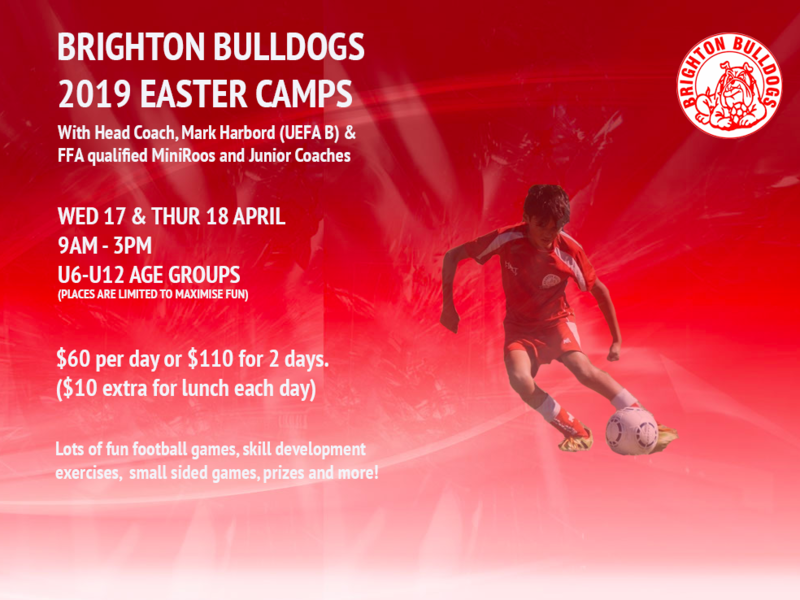 This is the registration page for the Easter Fooball Clinics at Brighton Bulldogs, 2019. By submitting this form, i consent to the player(s) named above to participating in ProCamp Soccer Training Sessions. ProCamp Soccer Training aims to provide a safe environment at all times. By submitting this form, i understand that ProCamp Soccer Training accept no liability for loss, damage or injury cause during these activities.